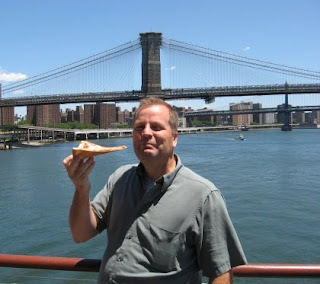 He wanted to be able to find decent pizza in any city to which he traveled. He developed a rating scale to provide consistency when reviewing pizza. He developed a directory so you can find what you want, where you want it. He developed a blog to discuss pizza. Then in June of '08, Tom suddenly shut down his pizza finder. Tom became sullen and mysteriously quiet about new york style pizza. Tom forsake his first love. 16 months later, Tom's passion has been awakened. He's back. Whatever state you're in, go find you some good New York Style Pizza. And if you're in Vermont, Kansas or Utah look up some pizza joints for him! Hey I'm so glad he's back I'm madly searching for one in Tampa for him. When I clicked on Tom's "rating" site I got a notice that the site was infected!!!!!!!!!!! Charlotte, Dino's in Harrisburg, and Hawthorn Pizza in Charlotte? They are all NY style with some variation. Also, I would suggest that the rating system might include the quality of the dough, as well as the quality of the topings, etc.